Yet another winning shoe from our friends at Reef! Yes, those surf lifestyle gurus have done it again. Recall that yesterday, we shared the Reef Rose with you, a fantastic versatile, slip-on shoe, well, this time, it’s a new casual sneaker called the Walled Low TX. The classic surfer sneaker takes on a twist with some interesting details: corduroy-textured material, elastic patterned laces, suede lace holders and heel tags, contrast patterned heel inlays, and of course, the rubber toe detail. Just like the Rose, these babies are super comfy (and super cute!) with the cushy arch support and footbed and a durable rubber outsole with non-slip traction. For those laid-back summer days, these shoes will have your smiling and kicking up your heels whether you’re in shorts, jeans, or an easy going sundress. 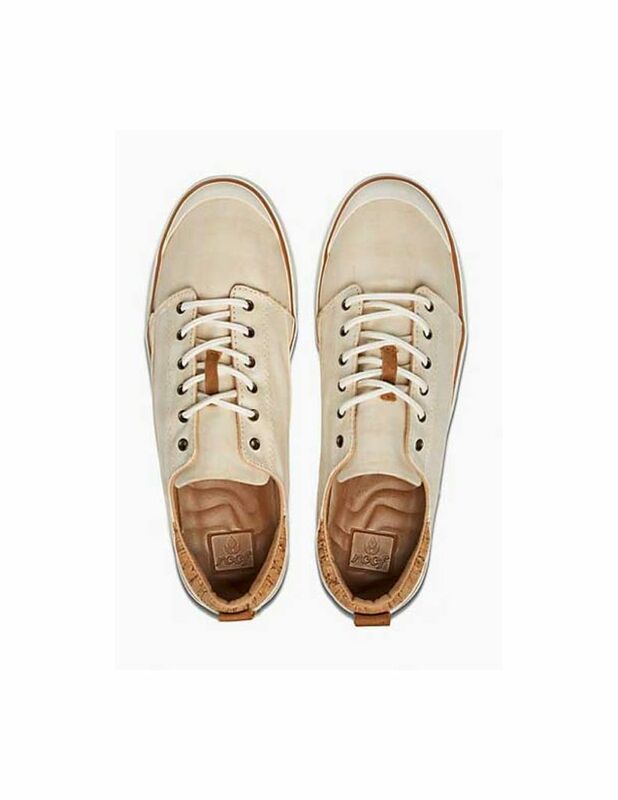 Time-tested sneakers with some extra style – that’s the Reef Walled Low TX!